All health funds except HCF and Medibank Private. I have never had a better massage in my life!!! Ultimate release of tight muscle discomfort without the pain. Thank you. Ana is a very special massage therapist in that she is also a dentist with over ten years' experience. During her pratice Ana came often across posture-related mandible and jaw problems causing pain, neck stiffness and headaches. 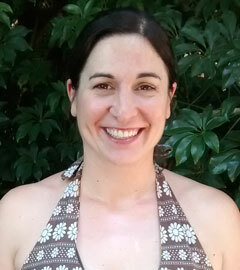 A while ago Ana moved to Sydney to take further studies on natural therapies and bodywork. “I wanted to offer my clients something more than painkillers and a diagnosis”. While completing a Diploma in Remedial Massage Therapy she fell in love with the city and its people. “I am here to stay!”, she said. “Massage therapy can help you reconnect with your body and become more aware of your movements and breathing. Together we can introduce changes that will help you get rid of chronic pain”. For relaxation, nothing like a pampering full body swedish massage, hot stone or LomiLomi that will leave you with a huge grin in your face. Lomilomi is the word used today to mean "massage therapist" or "Hawaiian massage." In the Hawaiian language, the word used traditionally [...] means "to knead, to rub, or soothe; to work in and out, as the paws of a contented cat. Many traditionally-taught lomilomi practitioners [...] prefer to treat selected clients quietly and privately, often in home settings. Lomilomi practitioners may also ask their clients to pray, meditate, change their diets, and engage in other self-help activities usually believed to lie outside the scope of massage in an effort to truly help the clients obtain optimal health.